What is great about this particular Calendar is I carefully proportioned the Photos so you can use a normal size photo without loosing so much of the outside of you pictures. I also added a nice place for you to ADD YOUR NAMES or Any Text you wish on every single MONTH including the Front Cover. Just type in YOUR TEXT or Family’s Names into the Text Box Templates. CALL Linda for HELP: 239-949-9090. Type Your Text in the Text Box Templates. To Add YOUR PICTURES, Click the tiny “Change” blue word located underneath each of my Temporary Photos. See Detailed INSTRUCTIONS BELOW. 2015 Personalized Calendars with Your NAME or Without any Text. Totally Blank Monthly Calendars for Your Photos or Text. 2019 Blank Calendars NO MINIMUM ORDER Required. Start ANY Month Calendars. Quality Paper for awesome detailed printing. 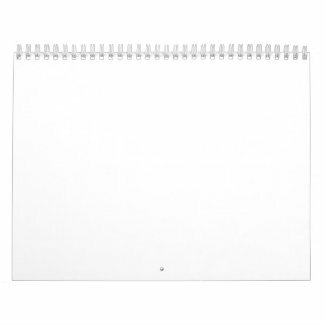 Blank Calendars BULK Discounts on ALL Zazzle Calendars. Awesome Personalized Promotional Gifts for 2015. Customers LOVE receiving these practical gifts. ADD YOUR OWN PHOTOS and TEXT. Call Linda at 239-949-9090 and I can do it for you at no extra costs. The Photo Calendar my daughter bought for family members last Christmas is fabulous. 2015 Calendar and US Holidays or choose a style without. You can choose from Small, Standard and Huge Calendars and choose the wire color too.How to Make a Calendar with Your Own Pictures and ADD Your Text. Customizable Calendar are super great Personalizable Christmas Gifts. Look for Bulk Discounts on quantities of only Two or More Calendars with Larger Quantity Discounts too. Awesome Christmas Gifts because it will mean so much and be packed with memories. If you live far away from your family, you will catch up with the special moments through the year. Change the Starting Month to ANY Date you choose. Family will LOVE seeing Your Family Vacation Photos, Holiday Pictures, Sports Photos and more. The Quality of the Paper is Heavy Paper Stock with OUTSTANDING Printing Quality, Second to None. Zazzle is world renown and their Mission is to give you Quality Products, Crystal Clear Printing and Fast Service. I was amazed when I saw how detailed the printing is. I designed a Bible Scripture Magnet for my mom to give her Bible Study friends. The tiniest little black lines were Crystal Clear. 100% LOVE IT GUARANTEE and an impressive LESS than 1% of their products are ever RETURNED. This and the A+ BBB RATING, Better Business Bureau, is what stood out to me. How many companies can boast less than a 1% Return Rate. I love ordering gifts from Zazzle for my out of town family too because I can have Zazzle send the gifts directly to their home and the service is fast for most products. (Some of the products could take 2 to 3 weeks to arrive), but most products are shipped within 24 hours from Zazzle and arrive within DAYS. Below the 1. “Personalize it” Box.Click the tiny blue word “Change” to Upload Your PHOTOS. Type YOUR TEXT in the TEXT BOXES. Here is a quick description on making your own calendars with pictures. Detailed INSTRUCTIONS BELOW and on the Product Description Page. This Calendar is proportioned for 6 x 4 photo shapes in both VERTICAL and HORIZONTAL Photos. More Horizontal Photo Templates. Also, many TEXT BOXES (Holiday Greetings Boxes such as “Happy Valentines Day can be changed to YOUR TEXT) to Type in YOUR SHORT PHRASES or NAMES in the TEXT BOXES located under the “1. Personalize it” Box. Scroll within this box to see ALL of the IMAGES that need to be Changed by Clicking on the little blue word “Change” underneath each Temporary PHOTO HERE Image. Some calendar months have 2 or 3 image template areas. In the 2. “Choose Your Style” Box. Click “Choose your Style”. Select the Wire Color. White is default. Click “edit in design tool to choose your Calendar Number Grid Style and Start Date and End Date. I recently designed a similar calendar for my daughter to give us family members for Christmas. I loved that design so much that I decided to make one similar to it for everyone. Some of the months have handsome frames for YOUR PICTURES and little cute Holiday Pictures. Uncheck Box if you DO NOT want Holidays and Events Displayed. Holidays Display is the default setting. Here is a cute story about the calendar I made for my daughter to give to not only me but other family members. She sent me the Photos vis Photo Stream. I loved the calendar that I made so much that I created the Rustic Calendar for my customers too. Well, I told her not to look at them until we come up there for Thanksgiving but I had to have her look in her package to see if another Zazzle product was shipped to her that I did need her to see. My daughter, Heidi, tried hard not to look and all of a sudden I hear cute excited “OOH, OOH’s” coming from her and I said, don’t look. She tried not to but caught a tiny peek at them and excitedly squeeled, “they look so good”. It was fun hearing her excitement. I can’t wait to see her reaction when they look at the calendars when I go up there tomorrow. Within the “1. Personalize it Box:” (to the right of the 2015 Calendar). Click the Tiny Blue Word “Change” below each Month. Follow prompts to “Upload New Images” and or “Select Images to Upload”. Repeat for Every Month including the COVER of the 2015 Personalized Calendar. Choose Calendar SIZE and Pages: Click the Small, Standard or Huge Icon for Calendar Size. Click on the little Color Box to Choose your “Wire Color”. To Choose Your STARTING and ENDING MONTH: Click the teeny tiny blue words “edit in design tool…” then Click the teeny tiny blue word “edit” which is located underneath the color boxes. Select your TIME FRAME Starting and Ending MONTHS: Click on the First Drop Down Box to choose the First Month of your personal calendar and the Second Drop Down Box for your last month. This is where you can make 1 month to 24 month calendars. Click on the little Round Select Buttons to choose the style of your 2019 calendars. Classic Frameless is shown. Choose the basic style and layout plan to make your own 2019 calendar. Customized calendars 2019. Email Little Linda Pinda at [email protected] Subject line ZAZZLE HELP so I don’t miss you. 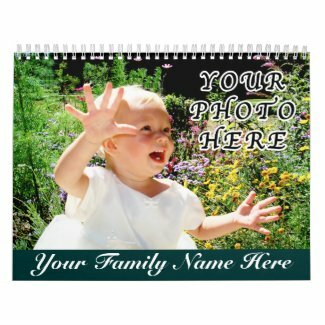 Questions on 2019 Personalized Calendars with Your NAME or No Text or Special Requests on Custom Personalized Calendars with Your Name and Photos. Making Memories that will last in their heart and frame the pictures because the printing is that great! I can make Changes to ANY or my Designs or to have ANY Design Placed on a Different Product. 2019 Personalized Calendars by Little Linda Pinda. Feel free to call me. All of the Calendars are Start Any Month Calendars.